During the winter months access to all tennis courts is via the footpath around the perimeter of croquet lawn 1. 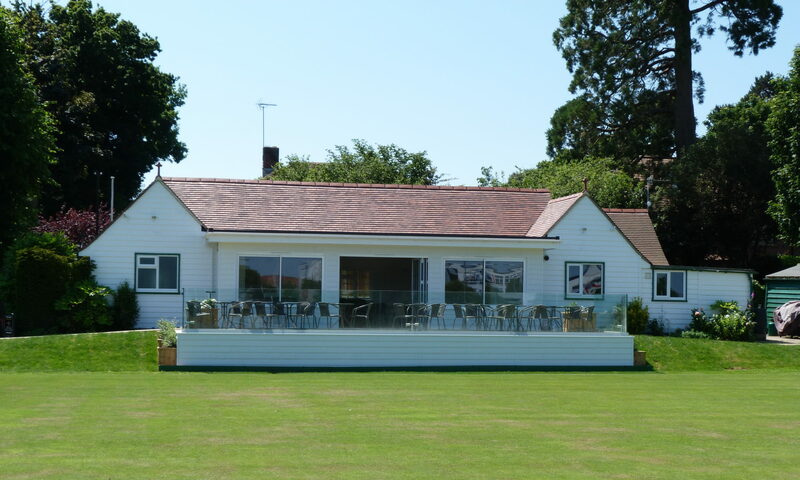 Clubhouse keys may be purchased from the membership secretary (membership@rydelawn.co.uk) for a £10.00 deposit. The quorum for any meeting shall be 50% of the committee. Sunday mornings (all year) 9.30am to 11.00 and Monday evenings 6.30pm – 8.00pm. All participants are expected to mix-in and make up fours. All adult players, approved juniors over the age of 12 years and prospective members are welcome. Short sets (tie break sets) should be played. Private play is permitted on the two grass courts during the summer months, at all times. Please see the tennis schedule for match practice times. Match practice sessions are by invitation only. Priority for the use of all courts will be given to match practice players. Tennis Captains have total authority for the activities they are organising. Saturdays from 9am to 12.30. All astroturf courts will be allocated to Junior Coaching sessions. Please see the seasonal schedule for Junior Coaching and court availability which will vary throughout the year. Private play sessions are when members arrange their play in advance (singles or doubles). When all courts are in use and there are players waiting then all players are expected to leave their court after one short set, or 30 minutes. This applies to both pre-arranged games and casual games arranged on the day. When spare astroturf courts exist, then players in pre-arranged games are not required to vacate their court. There is no obligation for players in pre-arranged games to mix-in. Players who turn up on the day hoping for a game should not expect to be included in pre-arranged games. Private play occasions are listed on the tennis schedule found on the outside notice board and on the website. Please check noticeboards for league match details. Matches will take priority and the seasonal schedule of Junior Coaching. During the Summer months the two grass courts will be available for private play at all times. Tennis players must wear recognised tennis clothing. This may be of any colour. Only recognised tennis footwear, which must be clean, will be allowed on the courts. Studs, spikes, heels or soles likely to damage the court surface will not be permitted. For your safety please see the notice board for recommended training shoe soles on artificial grass courts. Chewing gum is not permitted on court. Ensure mobiles are switched to silent on and around the tennis courts and croquet lawns. Please wipe your feet on the mats outside the courts prior to entering. When going on court show respect to players on adjacent courts. Please wait until a rally has ended before passing behind, or in front of players. Before raising the net, make sure that the centre strap ground fixing is not caught up in the net. Do not over tighten the net – use the centre strap adjuster to obtain the correct net height. Take care not to distract players on other courts. Please keep noise levels down to a minimum. Wait for the appropriate moment to recover stray balls. When you have finished playing, please release the tension on the net, unless the court is going to be immediately used again. Please shut the gate as you leave the court. Junior players must give priority for the use of courts to adult members in the evenings from 6.30pm. When players are waiting to use the practice wall then the practice wall must be vacated after 20 minutes of use. Providing courts 1, 2, 4, 5 and 6 are in use then use of the practice wall should cease to permit singles and doubles play on court no. 3. Use of the practice wall is not permitted when court nos. 1, 2 and 3 are required for committee sponsored events or matches. The above Byelaws are subject to variation or suspension to accommodate Committee sponsored events e.g. It is necessary to clarify who may coach on the Club’s courts, to control such activities and to enforce the Club’s obligations under their Legal Agreement with the Club Coach. This Legal Agreement includes the phrase ‘no other person may coach or train at the Club except with prior consultation and agreement of the Coach”. Also, given certain issues such as child protection, insurance, safety on court and to minimise distraction to other court users, it is essential that it is clear to members and visitors as to who is entitled to coach. Therefore: only persons approved by the Club Coach (acting on behalf of the Tennis Sub Committee) are permitted to coach at the Club – a person is “coaching” if he/she is acting in any way which may look to a casual observer as if he/she is training or teaching in a structured manner. The use of a ball basket or other container may also reinforce this impression. No-one, other than the approved coaches or those working with the approval of the Head Coach should be using a ball basket or other container. Such use would imply that they are acting as a coach. The Club Coach, acting on behalf of the Tennis Sub Committee may consent to club members using baskets or other containers on court when he/she is satisfied that there is unlikely to be teaching or training taking place with said containers and the activity will not be misconstrued by observers or will not lead to a breach of the Coach’s Contract, lead to an undermining of the coaching ethos of the Club or endangering the interest or good order of the Club. Those without such consent may have no more than six tennis balls on their court. Any individual unhappy with the Coach’s decision may appeal in writing to the Tennis Sub Committee. Parents may hit with their own children so long as it does not constitute “coaching” as set out above or cause distraction to other court users. Any breach of Bye Law 5 will be construed as misconduct and under RuIe 17 of the Club’s rules could lead to termination of membership.